Why Do Finnish People Love Salty Liquorice So Much? Salted liquorice, or salmiakki, is popular throughout the Nordic countries, the Netherlands, and Germany, but is most popular in Finland. It can be found in practically every variety bag of sweets sold in Finland and is an ingredient in chocolate, ice cream, and liquor among other things. Finns living abroad will frequently ask relatives to send them bags of salmiakki which they can’t find overseas. In most other countries, a tongue-numbing sweet-and-salty mix would only be popular amongst adults, like the recent trend of salted caramel. But in Finland, salmiakki is enjoyed by people of all ages and is a favourite weekend treat amongst children. 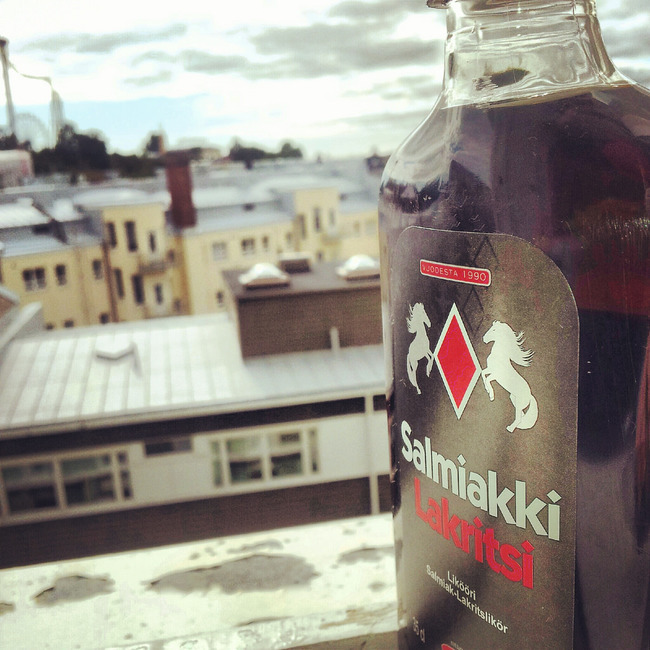 It is a highly acquired taste and most expats or visitors to Finland can’t stand it! Many even become frustrated at how difficult it is to find bags of sweets in Finland that don’t contain salmiakki. 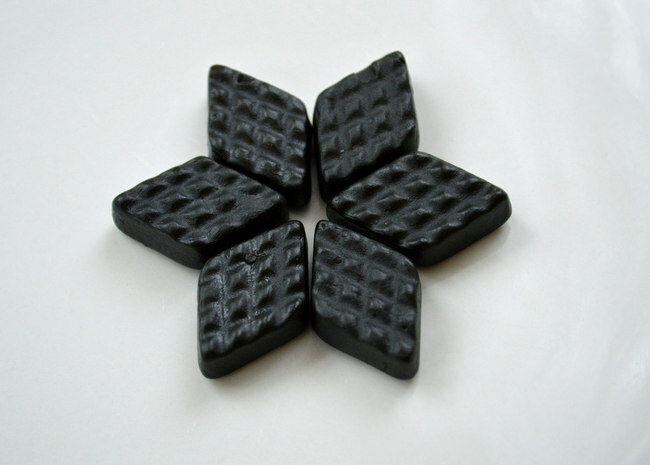 It is believed that salty liquorice originated from drug stores. Ammonia chloride, the ingredient which gives salmiakki its flavour, was originally used in cough medicine, and supposedly it was combined with liquorice to encourage children to take their medicine. By the 1930s, it had been adapted into regular candy which was being sold throughout the Nordics, and it has remains popular to this day. Why do Finns love salmiakki? 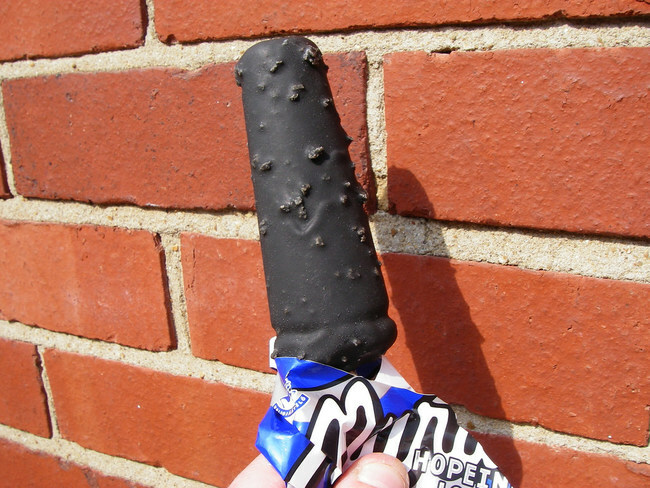 There is no real answer as to why the strange flavour combination is so popular in Finland, or why it is practically a part of Finland’s national identity. If you ask a Finn why they love it so much, they will probably say they like the taste and that they have been eating it since childhood. It is simply a food that is common and unique to Finland, like red bean paste in Japan or saltwater taffy in the USA. As mentioned, salmiakki is a highly acquired taste which most non-Finns find it hard to adapt to if they haven’t been eating it since childhood. If you do wish to try it, just to see what it tastes like, it isn’t difficult to find salmiakki candies in any supermarket or corner shop in Finland. They are also sold online (see Amazon) and shipped worldwide. Salmiakki comes in different strengths, but Pantteri candies (recognised by the panther on the bag) sold by the Fazer confectionary company, are one of the milder varieties and recommended for first-timers. You can even make some yourself with this recipe from Food Worth Cooking. For more daring foodies, you can use salmiakki to flavour meat or as an ingredient in this zebra cake by Kinuskikissa. If, however, salmiakki isn’t to your liking, take care when buying sweets in Finland, and watch out for those dreaded black candies.